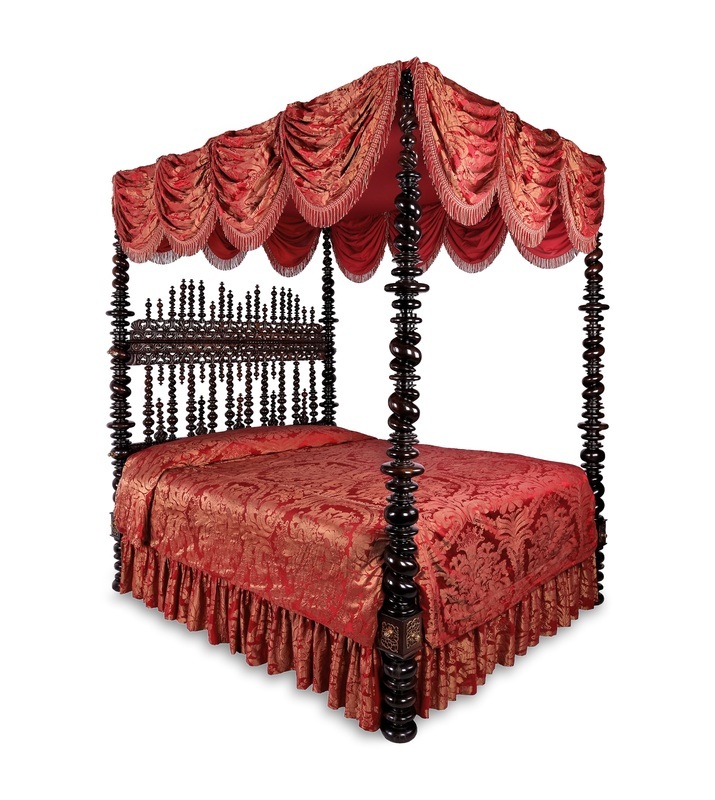 Each elite home contained one elaborately ornamented bed, called a state bed. These featured intricate carving, and were covered with mattresses, sheets, coverlets, pillows and curtains of the finest textiles. The state bed was often the only bed in an elite home in Minas Gerais. Family members could sleep on daybeds, in hammocks, or could temporarily place their mattresses wherever they saw fit. This example from Portugal illustrates the rich and luxurious appearance of state beds. 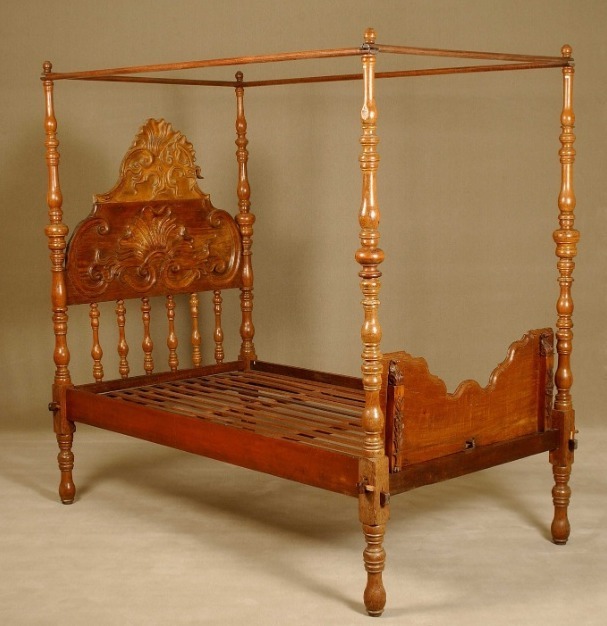 Similar beds with spiraling decoration were popular in eighteenth-century Brazil. Click here for a detailed description of this bed. 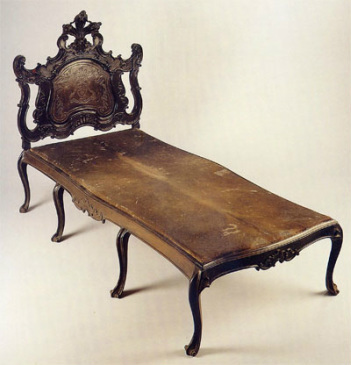 A preguiceiro is a type of daybed. Like the La-Z-Boy, the word preguiceiro refers to laziness. These were typically used for the sesta, the afternoon nap. As was common in many countries around the Mediterranean, the Portuguese, and, therefore, Brazilians, spent the hottest part of the day sleeping.